I'm afraid I will no longer be posting. You can always look to Alexa for absolutely amazing festival style. Shes making the rounds here at Glastonbury and last weekends Wireless Festival. So obsessed with this album. Such amazing styling by Caroline Blomst in this editorial. Very laidback cool and that model is absolutely gorgeous. 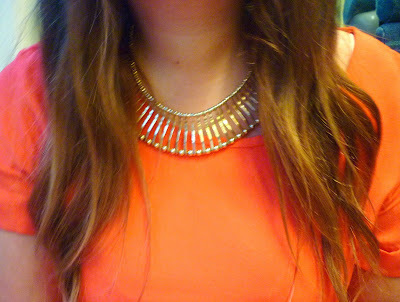 I'm still obsessed with buying anything orange.